It’s either feast or famine. When I was teaching my children to read, there were so few phonics programs available, I didn’t know where to find one. Phonics instruction nearly disappeared in the 1930s and only started making a comeback in the 1970s. Now there are so many phonics programs to choose from it’s enough to make your head spin. How do you evaluate and compare all of these programs to decide which one is best for you? And more importantly for us as classical educators, is there a classical approach to phonics, and if so, what is it? There have been two answers to this last question in the classical education movement. On the one hand, there are those who believe that The Writing Road to Reading (WRTR), by Romalda Spalding, is the true classical approach and everything else could best be described as “phonics lite.” On the other hand, the leading publishing companies in the movement—Veritas Press, Memoria Press, and Peace Hill Press—do not use the Spalding method, and in fact, all have written their own phonics programs. I submit that the Spalding method is so unique that the first division of phonics programs in the homeschooling world is between Spalding-type programs and everything else. Everything else I think can accurately be described as traditional phonics. Which is the better approach, or are they both equally effective? I will describe each and then provide a comparison in order to give the reader the tools to answer this question. First, let’s look at traditional phonics, from which there are many programs to choose. It is true that each has a slightly different emphasis and different bells and whistles. Some are written for the homeschooling mother in an informal setting; some are written for the classroom. Some include printing instruction; some do not. Some phonics programs continue on for the whole of elementary school and include spelling and grammar; others just cover the basics. Some teach vowel-consonant blending and others consonant-vowel blending. Some have lots of songs, jingles, and fun activities; others are bare bones. Some are remedial; others are accelerated. A few have special marking systems. But with few exceptions, they all use some version of the traditional scope and sequence so they can all be classified as traditional. What are the characteristics of traditional phonics that all of these programs have in common? The first principle of traditional phonics is learning to identify letters and the sounds each letter represents. Traditional phonics is synthetic phonics: It starts with letters, not with words. Students first learn one sound for each consonant and the short sound of each vowel in order to build (synthesize) words. The sounds the letters represent are taught in isolation before blending and reading begin. The second principle of traditional phonics is extensive practice with “consonant-short vowel-consonant” (CVC) words as the foundation of reading. It is with CVC words that students learn to blend letter sounds into words from left to right. It is with CVC words that students continue to practice and master the most common sound of each of the 26 letters. It is with CVC words that students practice discriminating between those all-important, but very nuanced, short vowel sounds (bag, beg, big, bog, bug). In addition, the CVC pattern is the building block of many multi-syllable words. While the exact order and selection of phonics patterns can vary, the important point is that each one is practiced in a word family that illustrates that pattern. An example of a word family is the 45 common words that spell long a with the ai vowel team: maid, nail, brain, etc. Through this systematic study of spelling patterns and word families, students learn thousands of words and the decoding skills to read thousands more. The traditional phonics sequence is effective because it is systematic, not random. It reveals the underlying order of the great variety of English spelling patterns, one pattern at a time. This orderly presentation is an aid to memory and is the very heart of phonics. Without it, many students are unable to recognize, master, and read English words fluently, for the English language has the most irregular spelling of any of the modern languages. In addition, students develop the visual memory needed to spell English words that have multiple ways to spell the same sound (there are seven common ways to spell the long o sound). If you can spell the word boat with oa instead of bote, it is not because you have memorized a rule, but because you learned it in a word family and have seen it spelled correctly a thousand times. There are very few useful rules to help you decide among the possible spelling patterns in English. In traditional phonics, however, spelling is secondary to reading. Students are able to read ahead of their spelling ability. While spelling is important, it should not slow down or impede reading fluency. The spelling patterns are taught first for the purpose of decoding, and secondarily for the purpose of encoding (spelling). While students are learning basic phonics, they practice their new phonics skills by reading stories with a high percentage of easy phonetic words, such as “The cat is on the mat.” After sufficient practice and mastery with the most common patterns, students transition from phonetic readers to books with a richer, more natural vocabulary. At some point in first or second grade, reading starts to click and most students begin to read far in advance of their phonics instruction. At this point phonics lessons start to transition into spelling lessons which continue to reinforce reading and spelling throughout the grammar-school years. Professor Phonics Gives Sound Advice, Sister Monica Foltzer, 1966, is one of the earliest phonics programs to reappear after the disappearance of phonics in the 1930s. It was the program used by Marva Collins. 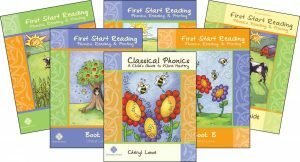 The Spalding method (The Writing Road to Reading) is so unique that I have divided all phonics programs into two categories: the traditional method and the Spalding method. The Spalding method (WRTR) has been very prominent in classical education, and though not as widely used among homeschoolers due to its difficulty, it may be the most frequently used phonics program in classical schools. The Spalding program was created by Mrs. Romalda Spalding who had a degree from Teachers College, Columbia University, and tutored several students with reading disabilities. She went on to develop her own program, designed to teach all students, not just those with dyslexia. In 1957, Mrs. Spalding published her method in a 300-page manual, The Writing Road to Reading (WRTR), a work that proved too difficult for the average parent/teacher to decipher and, consequently, has generated a number of spin-offs, programs either designed to help implement WRTR as is, or modified WRTR programs. Although there are two later editions of WRTR, I am referencing the 1990 edition because it is the last one prepared by Mrs. Spalding herself and thus should be the most accurate description of her method. The WRTR is difficult to comprehend, and I have given considerable time and effort to understanding it and to representing it accurately and fairly. No doubt there will be differences between this description and the spin-offs I mentioned above. Phonograms: A phonogram is a letter or group of letters that represents a sound. Students learn the common sounds of 70 phonograms in isolation, 54 before reading begins, and 16 afterwards. 46 phonograms have only one sound, 11 have two sounds, and 13 have three or more sounds. The first 54 phonograms are the 26 letters of the alphabet plus er, ir, ur, wor, ear, sh, ee, th, ay, ai, ow, ou, oi, oy, aw, au, ew, ui, oo, ch, ng, ea, ar, ck, ed, or, wh, oa. Phonograms are taught by means of flashcards and dictation. Lessons are multi-sensory, meaning students hear, say, see, and write phonograms and spelling words. Spelling Words: Students learn the spelling of the most common words based on the extended 1915 Ayers’ list of English words in order of frequency of use. Students learn 30 spelling words a week by analysis using phonograms and spelling/phonics rules. Students learn 150 of the most common words before reading begins, and continue learning to spell a total of 780 words in grade 1, and 1,700 words by grades 4-6. Reading: Because spelling is the overwhelming focus of the Spalding program, the teaching of reading is not directly addressed. Reading begins, however, 2-3 months into the program, after 54 phonograms and 150 high frequency spelling words are learned. Phonics/Spelling Rules: Students learn 29 spelling/phonics rules as they are needed in the weekly spelling lessons. Students do not have to memorize the rules but should be able to recognize or apply them. Spelling Notebook: Students create their own spelling notebook every year in which they write each year’s and previous years’ spelling words and rules. The words are marked according to the Spalding marking system. Marking System: The marking system is no mark for short vowels, underlined for long vowels, and a number for additional vowel sounds. The marking system for other phonograms is the number of the sound on the back of the phonogram card if it’s not the first sound. All two-letter phonograms are underlined once and if the sound of the phonogram is not one on the phonogram cards it is underlined twice. Assessment: Assessments are frequent, using the Morrison-McCall tests for spelling and McCall-Crabbs tests for reading comprehension. Spalding teaches 45 phonograms through dictation before reading begins. Traditional phonics teaches only the 26 letters of the alphabet before blending and sounding out words. Many programs begin blending as soon as the sounds of a few letters are learned. Spalding teaches all major sounds for each of the phonograms from the beginning. Traditional phonics teaches only one sound for each letter initially, especially for the short vowel sounds. Spalding does not recommend cue words to help remember phonogram sounds. Traditional phonics uses cues words such as apple, egg, igloo, octopus, umbrella for the short vowels, or food and foot for oo. Spalding emphasizes analysis; students analyze whole words using phonograms and spelling rules. Traditional phonics emphasizes synthesis; students begin with individual letter sounds which are blended into words from left to right. Spalding teaches 29 spelling/phonics rules which are used to analyze the most common 1,700 words in English. Spelling/phonics rules are minimal in most traditional phonics programs. Spalding teaches phonics patterns as they occur in high-frequency words, an order which, by necessity, is random. Traditional phonics teaches phonics patterns in a logical order, beginning with the most regular, the CVC words, and proceeding from the simpler to the more complex. Spalding incorporates all words into the spelling lessons, rather than identifying some as sight words (see below). Traditional phonics introduces sight words as needed to write and read simple sentences. According to the WRTR, Spalding students begin reading with real books and skip over basal and phonetic readers. Traditional phonics students begin reading with easy phonetic readers. Spalding specifically eschews word families. In traditional phonics, students practice each new phonics pattern in word families. Spalding teaches the accurate spelling of high-frequency words as the basis of reading. Traditional phonics teaches recognition of spelling patterns beginning with CVC words as the basis of reading. Some parents are afraid of “sight words.” They have been so discredited by the “look-say” method of reading instruction that any appearance of a sight word is a sign of compromising with the devil of “look-say.” But in traditional phonics, they are a necessity. In order to compose simple sentences with phonetic words, it is necessary to teach sight words along the way. The reason is because many of our most common words are irregular, and therefore do not occur early in the phonics sequence. Many of these common words, such as the, as, she, and go, are not actually irregular, but are often taught out of sequence, before their phonics pattern is covered. Learning individual words that are not part of the spelling pattern of a particular lesson is not difficult for students or distracting from the systematic presentation of phonics. Other words, such as come, some, and said, break the rules but still have phonetic elements that can be sounded out. Only a few words, such as of, eye, are, and one, are so unphonetic it is best to just learn them by sight. Why are Spalding and Orton-Gillingham so closely associated, and what is the true relationship between the two? Romalda Spalding did tutor several students under Dr. Orton’s supervision and she does reference and credit him with the list of phonograms she uses in the WRTR. More importantly is Mrs. Spalding’s assertion, in her introduction to WRTR, that her contribution “has been chiefly to develop Dr. Orton’s training into a method for classroom teaching.” Since the Orton Academy is not well-known, Romalda Spalding’s assertion has never been questioned. 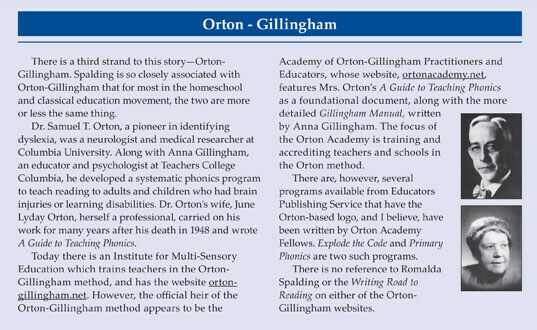 I have studied Mrs. Orton’s A Guide to Teaching Phonics carefully, as well as other programs with the Orton logo—Explode the Code and Primary Phonics—and have found them, in every one of the ten points of comparison on the previous page, to be clearly in the traditional column. 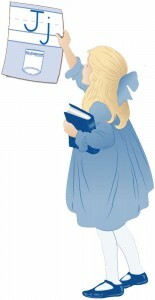 Mrs. Orton’s guide, for instance, begins blending CVC words in the first lesson, when only five consonants and the short vowel a have been learned. Only one sound is taught for each letter initially and each new spelling pattern is practiced in word families. Sight words are taught as needed to produce sentences for students to read. None of the unique Spalding features are found in the guide; there is no list of spelling rules, a spelling notebook, a marking system, or spelling of high-frequency words. The Orton method is in every respect a traditional phonics program. In conclusion, the WRTR appears to be Mrs. Spalding’s own creation, one that has a tenuous relationship to the Orton-Gillingham method or to the whole tradition of traditional phonics.